All you need to plan your New Hampshire vacations on the seacoast, the mountains, and the lakes is here. Browse around and find the help you need for planning your next trips. When I think of a New Hampshire holiday I think of hiking mountains and skiing, and lake activities such as canoeing, swimming, and fishing from a dock. I think of inns, and bed and breakfasts, and camping. And ice cream. Well okay, I think of ice cream all the time whenever I’m on my New Hampshire vacations, but that’s my problem. 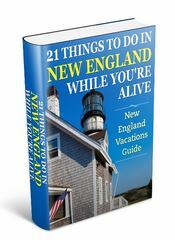 New Hampshire packs a lot of vacation and accommodation variety within its borders, as you’ll discover in this guide. Use this information to help plan your trip to the mountains or lakes, or even the beach or shopping – including outlets you can’t find anywhere else in the region. Use it to plan a fast-paced active holiday… or a relaxed and stress-free vacation. Use this guide to plan your accommodations and travel arrangements. And use it to plan every activity yourself, or decide on a ready-made New Hampshire vacation tour. 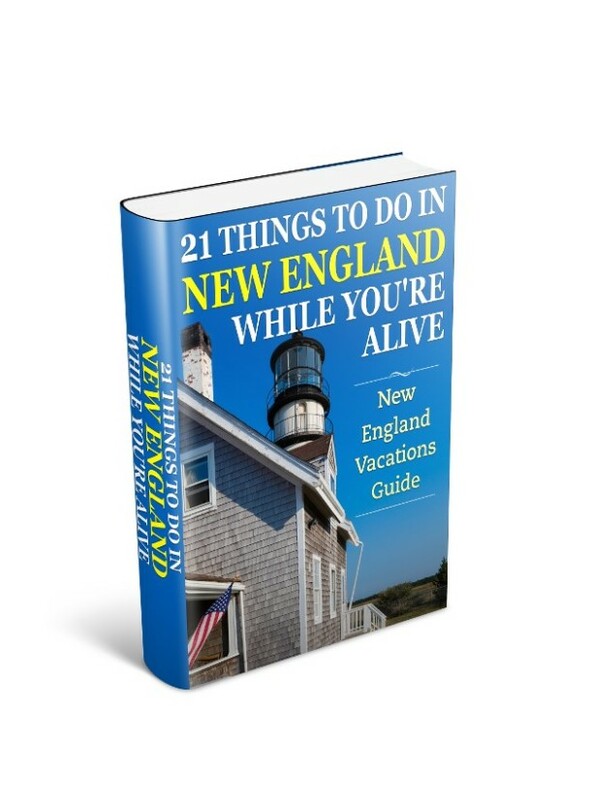 Whatever you want, it’s all covered here for you in my New Hampshire vacations guide. New Hampshire is a truly beautiful state to take a vacation – and it has no sales tax! So your dollars go further. Hooray for New Hampshire! When vacationing in New Hampshire always leave a bunch of time to make a few unplanned stops each day. I guarantee as you wind your way to the spots I suggest you’ll get easily sidetracked. Take my best of the best New Hampshire vacations picks here, but keep your eyes open for those unexpected Kodak moments at a covered bridge or a lake park. Just Look What The Glaciers Did! A few hundred thousand years ago if you could’ve taken a trip in New Hampshire, it would’ve felt like traveling through the present day Alps or Rockies. High mountains ruled the landscape. But then the Ice ages came, and as glacier’s moved relentlessly south they took most of the mountain material with them. The glaciers, and natural wind and rain erosion, ground down the peaks. It left behind lower, but more accessible mountains, and created over 273 lakes. How’s that for the ultimate National Parks service? Where did all the high mountain material end up? Well it helped form Cape Cod, Long Island and the islands in the sound – Block Island, Martha’s Vineyard, Nantucket, and a whole bunch more. Present day New Hampshire offers vacations on the seacoast, lakes, and mountains. Now while most of my New Hampshire vacations have been spent in the mountains or lakes region… New Hampshire does have a shoreline. The New Hampshire seacoast is squeezed between Massachusetts and Maine – and it’s small – about 18 miles. The center of activity for the coastline is Hampton Beach. The area caters for vacationers that appreciate being entertained. During the summer months it has many open-air concerts, and in June a big sand castle competition. If you like a traditional seaside town with lots of attractions and all the fun of the fair then Hampton beach may just be the New Hampshire vacations spot for you. The area is close to the border with Maine, and if you’re in the shopping mood, hop over the border to the Kittery outlets. The Kittery outlets boast an outlet for everybody – and they’re not kidding – it’s huge. A ferry to the Isle of Shoals can be taken from historic Portsmouth, and the ride takes about 60 minutes. The islands are all privately owned, but a walking tour of Star Island is available through the ferry company. The New Hampshire seacoast is accessible from route 95 North from the Boston area. Now before we continue on our journey why not take this opportunity to pick up some free resources for planning your New Hampshire vacations? The New Hampshire lakes region is very popular with southern New Englanders for their vacations. If touring is not your idea of fun New Hampshire vacations, but finding one spot to park yourself in, and then exploring an area under your own sail, and you enjoy lakes… then you may have reached your home port in the New Hampshire lakes region. The region has many, and I mean many, gorgeous lakes. Lakes that welcome water sports and boats so you can Jet Ski, or Water-Ski. And quieter lakes for fishing and canoeing or Kayaking. 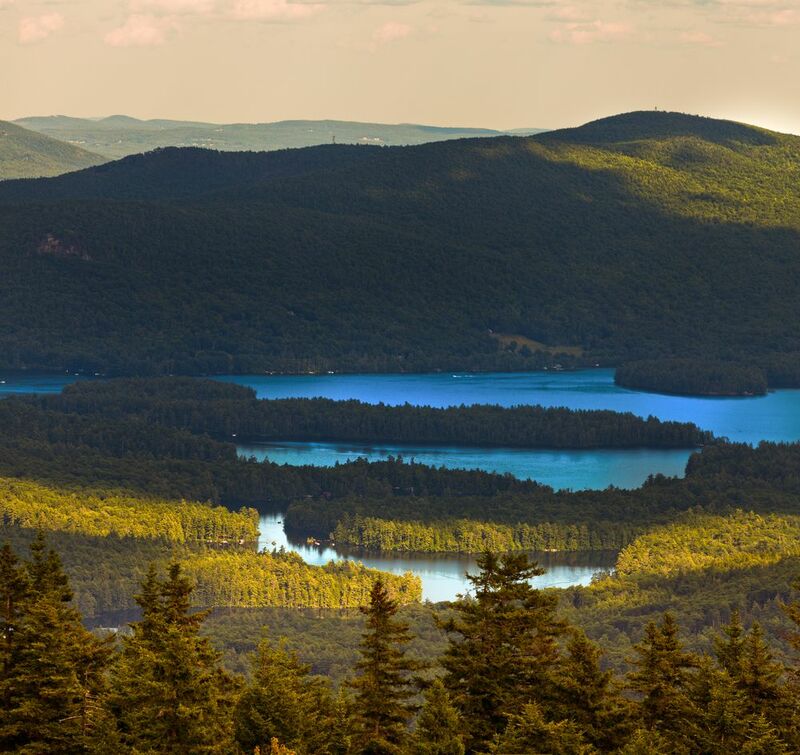 The lakes region includes: Squam Lake, Newfound Lake, Ossipee Lake, Winnisquam Lake, Sunapee Lake, Lake Winnipesaukee, and over 267 more. One of these lakes is the right one for you. Now just about every New Englander has their favorite lake. For some it’s right in their back yard so they can fish or swim whenever they want. For others – like me – it’s Lake Winnipesaukee. Lake Winnipesaukee is the largest lake in New Hampshire and the center of activity for the boating community in the region. It’s also one of my favorite places for New Hampshire vacations, and so I built a page all to itself. But the other lakes are terrific as well, and each with it’s own distinct charm. 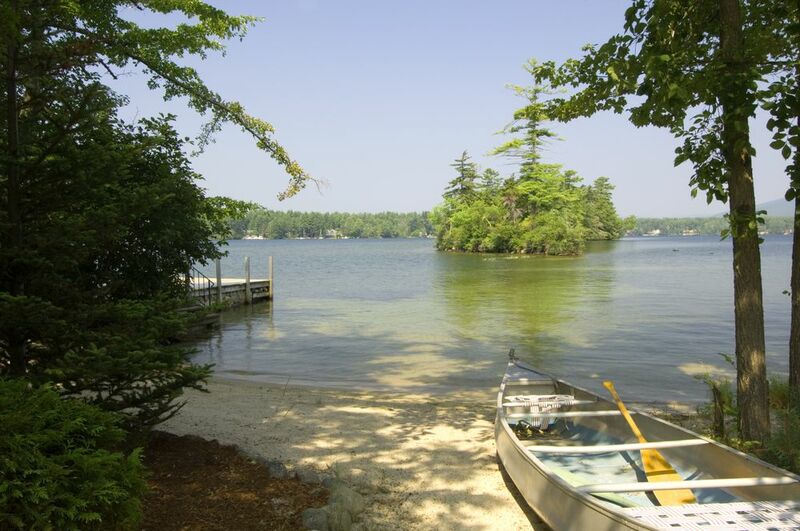 Explore some of the other lakes with me as I tell you the best picnic spots, swimming holes, walking trails and boat tours on a handful of the other lakes in this region in my New Hampshire Lakes page. And when you’ve done checking out all the lakes, then promise to come back here so I can tell you all about another major destination for your New Hampshire vacations. The White Mountains are one of the major mountain ranges in the Appalachian Mountain system that covers Eastern North America. The White Mountains boast many 4,000 feet plus peaks, and a number of 5,000 feet plus peaks. Mount Washington towers above the clouds – and tree line – at 6,288 feet, the highest peak in the Northeast. Mount Washington was developed as one of the original tourist destinations in the 19th century with hotels and roads to the summit. It quickly became one of the most popular areas for New Hampshire vacations, and people arrived in droves via the railroad – sometimes as many as 5 trains a day. All of them crammed with people in search of escape from the cities. I’m so found of this mountain and the area, that like Lake Winnipesaukee, I’ve created a special Mount Washington page for you. But feel free to stay and linger here with me as well. After all, lingering is one thing I hope you’ll practice often during your New Hampshire vacation. The major scenic route going through the White Mountains National Forest is route 112, also known as the Kancamagus highway. It runs east-west and it’ll give you a sense of the beauty of the forest, and why it’s so popular. The highway is 34 miles long and there’s plenty of vistas for a Kodak moment. Or just stop to stretch your legs and maybe catch the sound of nuthatches and chickadees over the rushing waters of the Swift and Pemigewasset Rivers. They’re plenty of hiking opportunities along the way for all levels. The White Mountain National Forest is one of America’s most popular public lands, registering more visitors annually than Yellowstone and Yosemite combined. Hiking in this national forest is a favorite pastime for many. Indeed many enjoy exploring the natural wonders of the area without breaking a sweat or chomping on an energy bar, or pressing a brake pedal. For those times, a jaunt on the Conway Scenic Railroad, or taking an aerial tramway or gondola rests the legs but still floods the senses with the sheer beauty of the Presidential range and valleys. And for younger in age visiting Story Land or Santa’s Village creates even more great memories of your New Hampshire vacations. Each year the Ice age returns to New Hampshire. And people love it! The lakes freeze over – even Lake Winnipesaukee – and you ice fish, or grab a few friends and skate, or play hockey. But it’s in the mountains that the largest transformation takes place. New Hampshire has many great skiing resorts. I’ve put together a special section just for winter sport enthusiasts. Check out my New Hampshire skiing vacations page. To me, a good deal of the fun of booking a New Hampshire vacation is choosing the accommodation. And New Hampshire has some of the best in New England. The types of lodging you can find are varied.